Today, the European Court of Justice published its opinion (pdf provided by EPALW) on the "Draft Agreement on the European and Community Patents Court" [Doc. 7928/09] (case Avis 1/09) and found, not overly surprising, the Draft Agreement incompatible with the EU Treaty [Doc 9076/09] and EU law. The Court observes, first, that, under that agreemet, the European and Community Patent Court is an institution which is outside the institutional and judicial framework of the European Union. [...] To that extent, the courts of the Member States are divested of that jurisdiction and accordingly retain only those powers which do not fall under the exclusive jurisdiction of the European and Community Patent Court. [...] Unlike other international judicial systems on which the Court has ruled in the past, the European and Community Patent Court has the duty to interpret and apply not only the envisaged international agreement, but also provisions of European Union law. 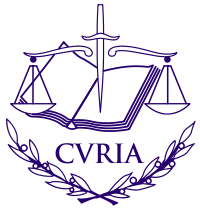 Further, the Court declares that the creation of that court would deprive national courts and tribunals of the power, or, as the case may be, the obligation, to refer questions to the Court for a preliminary ruling in the field of patents, given that the draft agreement provides for a preliminary ruling mechanism which reserves to the European and Community Patent Court the power to refer questions for a preliminary ruling while removing that power from the national courts. [...] The tasks attributed to the national courts and to the Court of Justice respectively are indispensable to the preservation of the very nature of European Union law. [...] However, the Court states that if a decision of the European and Community Patent Court were to be in breach of European Union law it could not be the subject of infringement proceedings nor could it give rise to any financial liability on the part of one or more Member States. [...] The envisaged agreement [...] would deprive courts of Member States of their powers in relation to the interpretation and application of European Union law. The agreement would also affect the powers of the Court to reply, by preliminary ruling, to questions referred by those national courts. Accordingly, the agreement would alter the essential character of the powers conferred on the institutions of the European Union and on the Member States which are indispensable to the preservation of the very nature of European Union law.